When you find really tasty tomatoes, especially heirloom varieties, you want to keep the flavors fresh and simple. That’s why I fell in love with Turkish cooking because it emphasizes fresh ingredients such as tomatoes and herbs. Heirloom tomatoes and fresh summery greens at home in Warsaw. Last week, hubby asked if I could make Turkish kebabs and mezes one night. I said, tabii ki (of course)! 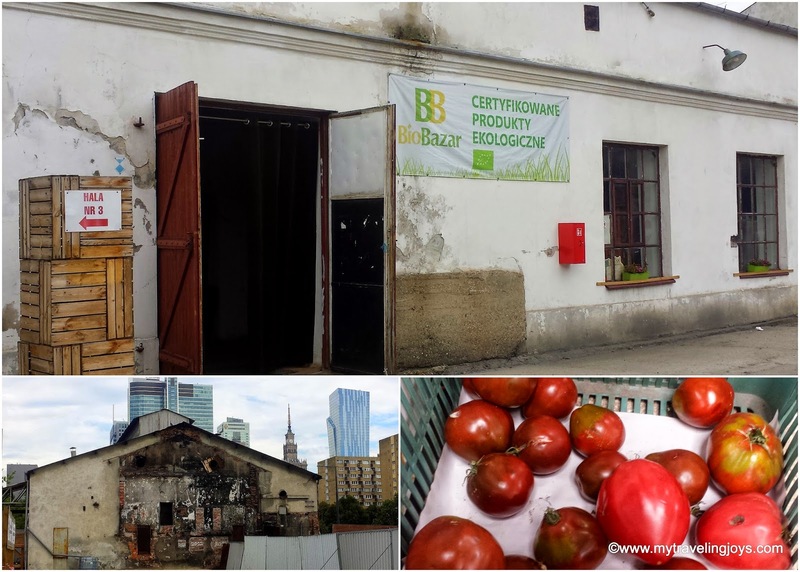 So on Wednesday, I went to the BioBazar here in Warsaw and discovered a stall selling the BEST heirloom tomatoes I’ve seen outside of the U.S. The Polish farmer, who spoke excellent English, told me he specializes in unique products like the heirloom tomatoes, herbs and greens (Swiss chard, Italian lettuces and more) and sells many of his organic products to local restaurants. The BioBazar is open open on Wednesdays and Saturdays in these old pre-WWII factory buildings. I knew exactly which Turkish dish I would use these heirloom tomatoes in – a Gavurdağı Salatası – a sweet, tangy and slightly spicy tomato-parsley-pomegranate salad that is utterly delicious! This salad is named after the Gavur mountain, part of the Tarsus mountains in Southeast Turkey. 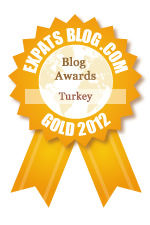 It’s one we tried for the first time when we visited Gaziantep, a city in SE Turkey, two years ago. In Gaziantep, we tried Gavurdağı Salatası at both Imam Cağdaş and Kebapci Halil Usta. The tangy spice, sumac, also was used in these versions. Some versions of Gavurdağı Salatası add sumac or freshly chopped mint leaves. Other recipes like this one by my friend, Claudia of A Seasonal Cook in Turkey, include green peppers and more onions than what I like. As salads go, simply taste yours and see what you would like to add or modify. My version of Gavurdağı Salatası was the perfect summery complement to an evening at home with Turkish kebabs and mezes. Turkish raki included, of course! I hope you’ll enjoy this salad as much as we did! Chop the tomatoes, onions and parsley into small pieces and place in a bowl. Discard the tomato seeds and extra juice so you don't make your salad too "wet." Sprinkle the spices on top. In a small glass jar, add the dressing ingredients and shake to mix well. Pour over the salad when ready to serve. Alternatively, mix the ingredients in a small bowl with a whisk. Garnish the salad with the chopped walnuts. Serve the salad with fresh bread or pita so you can enjoy the delicious, spicy juices at the bottom of the bowl. NOTE: We had about 1 cup of salad left that we finished off the next morning as part of a Turkish breakfast at home. Simply serve with cheese, hardboiled eggs and fresh bread. I love Turkish mezes like these! as soon as i read this i got up and walked to the freezer and took out some ground lamb and pita which i baked recently. we are having kaftas and gavurdagi salatasi for dinner today!!! Super. Let's hope the recent government restrictions on sowing traditional local seeds will not make this taste a thing of the past.